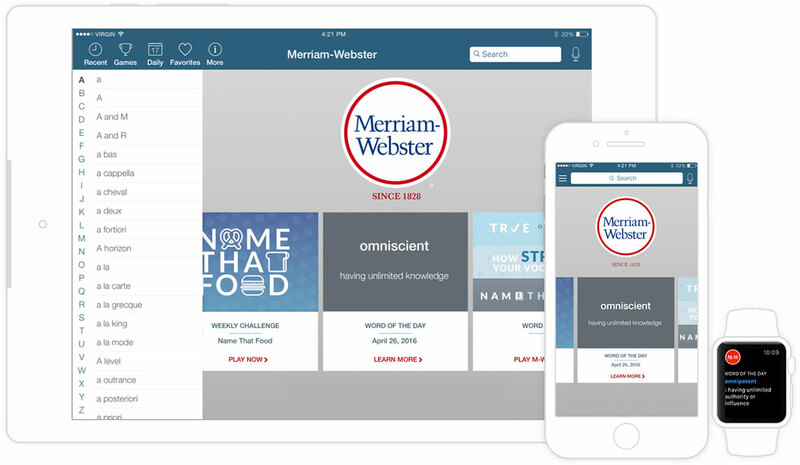 In addition to all the definitions from Merriam-Webster's Collegiate Dictionary, the app offers voice search, synonyms, antonyms, example sentences, Word of the Day, and more. If you prefer enhanced content and no ads, get the premium version: iOS | Android. 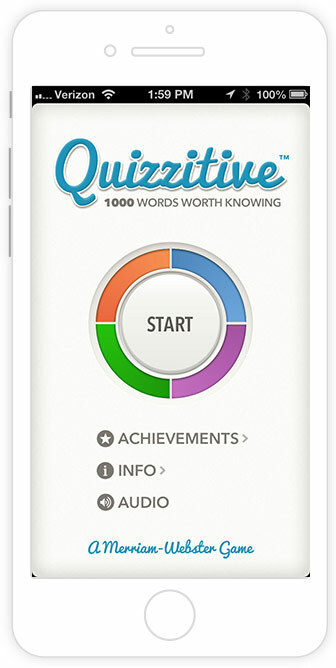 An entertaining quiz, an addictive game, and a new way to test and improve your vocabulary. 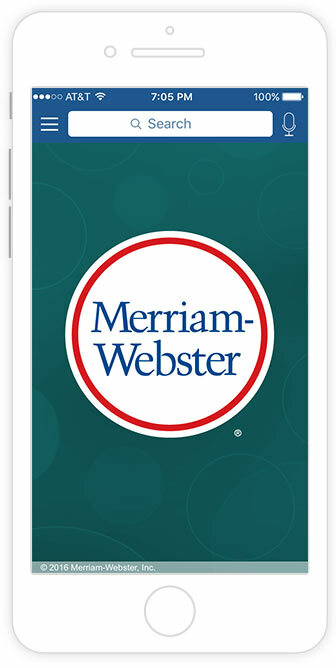 An enhanced version of Merriam-Webster's Collegiate Dictionary, designed especially for Windows Phones. SCRABBLE® Dictionary  2014 update! 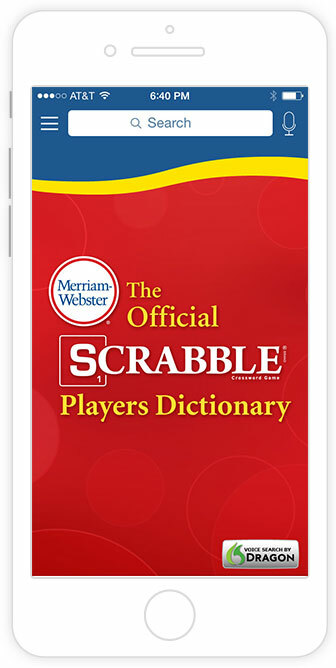 The only SCRABBLE® dictionary app approved by Hasbro, this version is based on the complete content from The Official SCRABBLE® Players Dictionary, Fifth Edition  enhanced with up to 15-letter words and an updated "Word Finder" tool to help you find words that can be formed from available letters. Plus, North American SCRABBLE® Players Association members can search the full Tournament Word List! 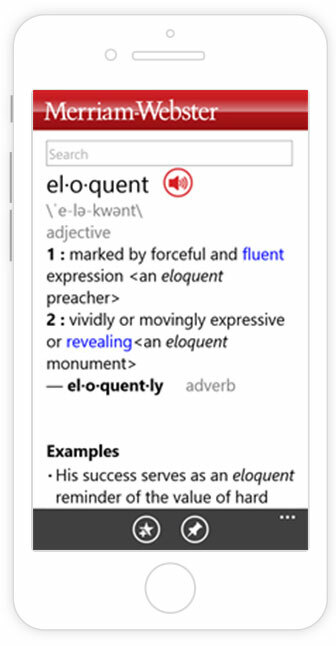 The best dictionary available for English language learners. 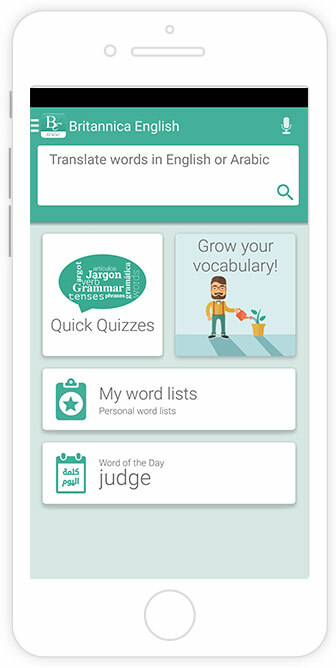 This app includes Voice Search, audio pronunciations, Word of the Day, synonyms & antonyms, illustrations, Favorites & more. 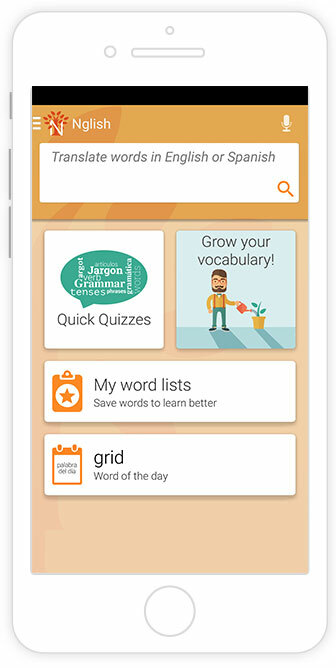 A Spanish-English translator & English language learning app designed for Spanish speakers. This app includes a Spanish-English dictionary, full text translation, vocabulary quizzes, flashcards, personalized word lists, & more. An Arabic-English Translator & English language learning app designed for Arabic speakers. This app includes an Arabic-English dictionary, full text translation, vocabulary games, flashcards, personalized word lists, & more.